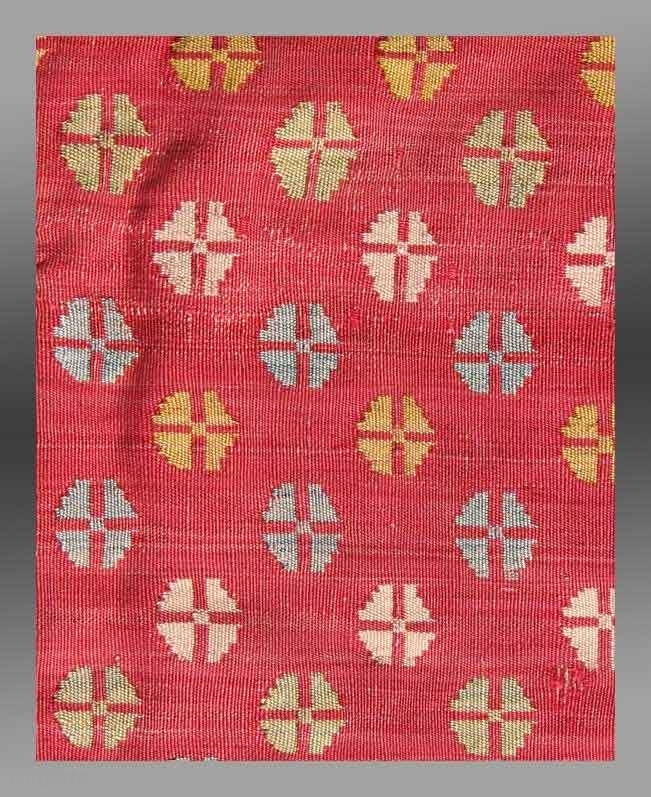 Shahsavan Silk Jajim (fragment? ), nw Persia, 19th century, 2' 10" x 3' 9"
An incredibly rare and quite beautiful textile. 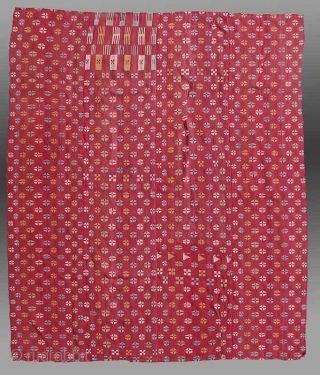 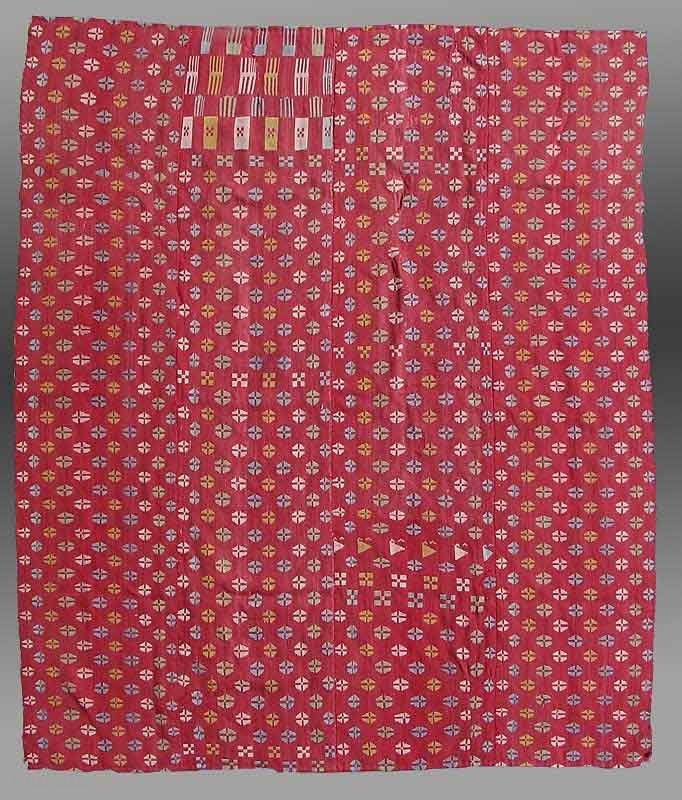 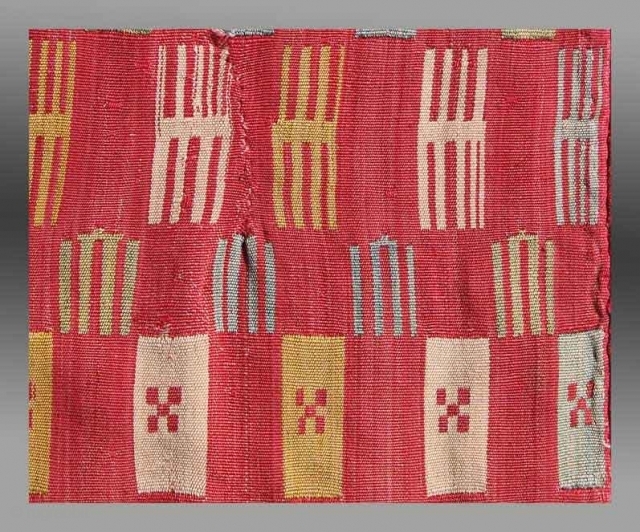 Composed of 100% silk, this jewel like weaving exhibits a quality rarely encountered in jajims of any origin - the design is very rare and the texture of the weaving is cloth like. 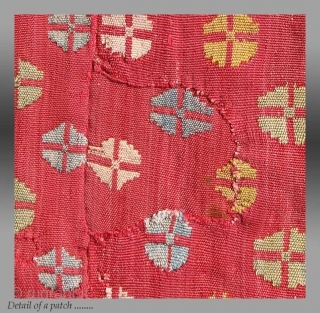 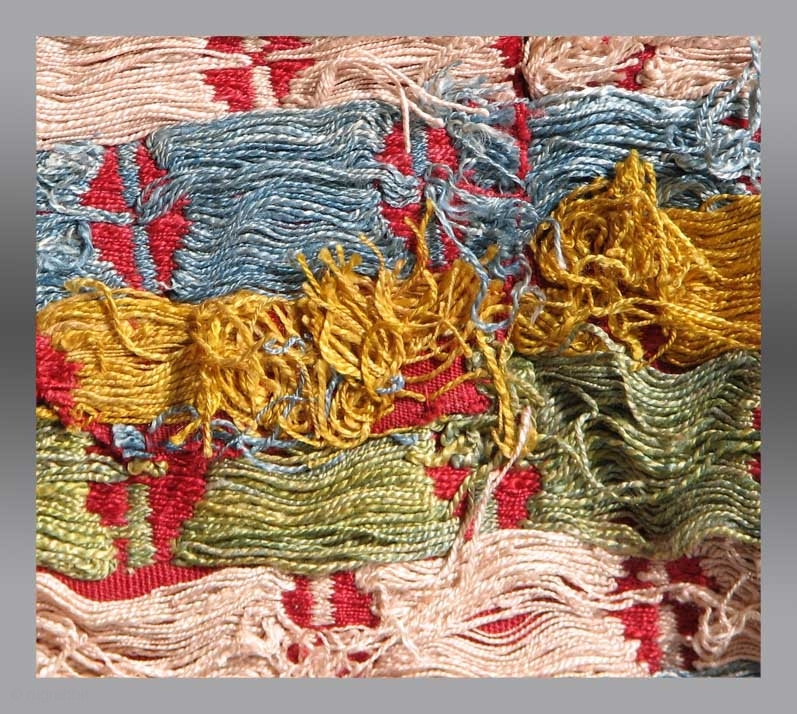 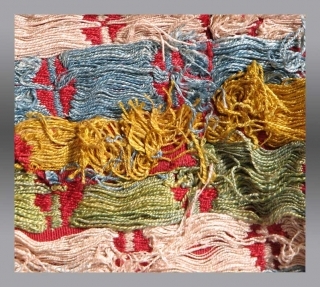 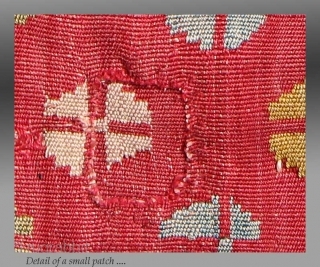 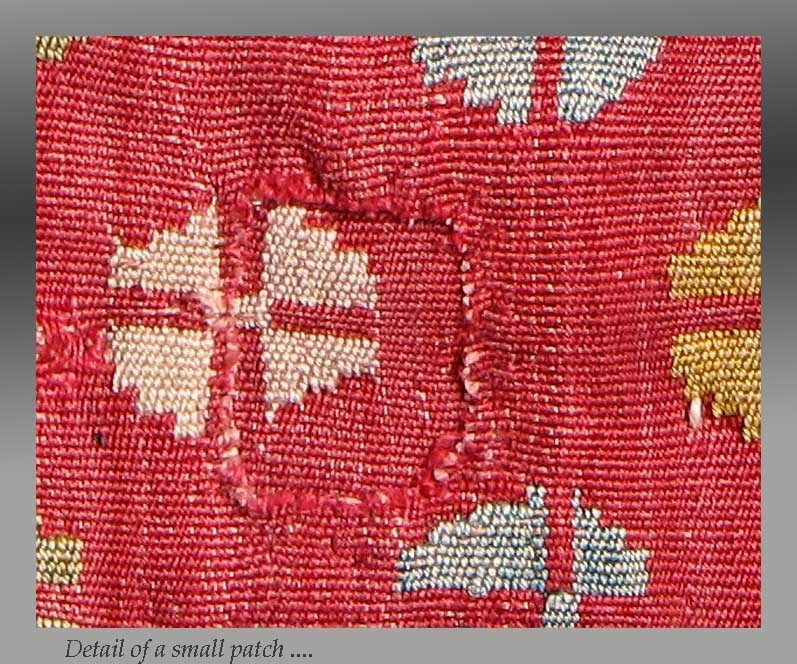 Not without some repairs (possibly done in the 'field' as they are composed of patches of the same material, a common manner in which these textiles are preserveed 'in situ'), the colors are all derived from natural dyes. 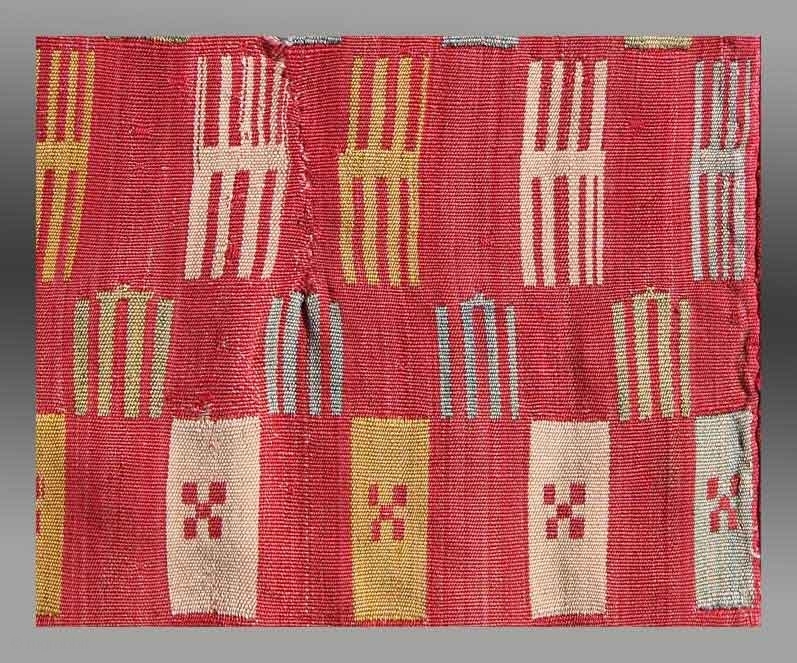 a very unusual and quite rare example of textile art from the Caucasus region.